Buy Facebook Video Views at the best price AND quality. Rates discounted for larger orders. Biggest seller, best prices, best service. Real results on Facebook. 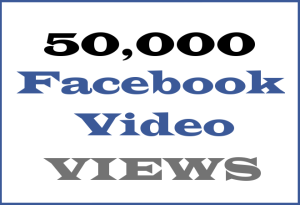 Buy Facebook video views from the first ever provider of this service. The most trusted seller. The most reasonably priced. We are Video Views International. Buy Facebook video views that are safe and real, and enjoy the option of guaranteed Likes and engagement included in the price. 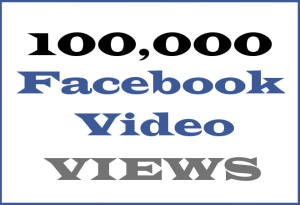 The viral ‘kick’ that our service provides for your video will almost always result in many more views than what you have paid for, and that’s our goal. High retention (watch time) with high quality audiences to engage with your Facebook video. Engagement increases the appeal of your video – more people stop scrolling and watch it, and the algorithms to promote your video to more people than previously. We are native English-speaking marketing professionals with more than ten years of experience – all of us. Your dedicated Account Director and his/her team will be available 24 hours a day to respond within four working hours, your local time. Is this for actual FACEBOOK VIDEOS only? Yes, VIDEOS only. FACEBOOK VIDEOS only. When you buy Facebook video views you are promoting a video that has been uploaded directly to Facebook. This is not a service involving facebook posts, or facebook photos, or non-facebook video links that have been posted or embedded into Facebook. For information on our other services visit our page on Viral Marketing Services HERE. How can you guarantee Likes and engagement? We are a viral marketing agency, this is what we do. Then we use our proprietary methods to target the most suitable people across our high quality social media network of avid video watchers. We monitor your campaign, and for a set period of the campaign we utilise some high engagement social media networks to ensure your video is appreciated by enough people to give it the kick-start you need to help it reach its viral potential. How do I get public likes/comments on a personal Facebook video? Before you buy Facebook video views, click “Settings” the click “Followers” and for the option “Who Can Follow Me” select “Everbody”. Done! What if I don't WANT any Likes or engagement?? That’s fine, just let us know in the Order Notes text box at the Checkout when you add your video link. There are ways and means to ensure that hardly any likes and comments occur, so you may only have to delete the odd one or two comments if you don’t like them. How do I find my facebook video link? 1- Touch the word “video” or the video’s Title to get to the video’s unique page. 3- Once you are looking at the original video itself, touch “Share” as if you are going to share the video, and select “Copy Link”. When you are at the Video Views Checkout, hold your thumb down in the text section until you see the word “Paste”. DONE! 2- Once you are looking at the original video, highlight and ‘copy’ the browser link then ‘paste’ it into the Order Notes text box at the Video Views Checkout. DONE! 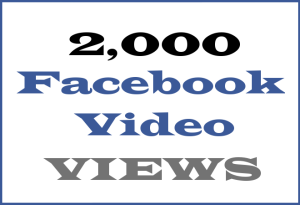 Can I get the views for a post about a Facebook video? The views will all count towards the original video owner who uploaded the video to Facebook. When you buy Facebook video views, if you provide a link to a Page post which has shared a video, it won’t increase the popularity of that Page post – all the views, likes and engagement will count towards the original video only. How do I buy Facebook video views? It’s an easy and logical process. Once you’re in the online store, select the combination of packages for your Facebook video, for example “2x 20K Facebook Video Views” and head to the Checkout. In the Checkout there is a text box for you to paste the link to your Facebook video. All done! Just choose your payment option, make your purchase, and we’ll email you straight away to confirm the start of your order, and again at the end to inform you of completion. We will also be available 24 hours a day both during and after the successful completion of your campaign/s. Can I also buy Instagram Video views? The Social Video Division at Video Views International. We are not connected to or affiliated with Facebook in any way.Our team of qualified marketing experts, each with over ten years of experience, generate high retention, real views for Facebook videos across our many and varied, focused and engaging online social networks. As the world's leading provider of viral video marketing services across YouTube, Vevo and Facebook, we serve thousands of artists, labels, celebrities, organisations, brands, marketers and content enthusiasts, delivering outstanding results and satisfying everyone with the exemplary customer service for which we've become renowned.